Giancarlo Anello ist Professor für Interkulturelles Recht an der Universität von Parma. The saga continues: again have regions in Italy governed by the right-wing party Lega Nord tried to use an administrative law to restrict the building of new mosques in the regions. This time, Veneto came up with something new: they made it mandatory to speak only Italian in religious buildings. But the Constitutional Court took a clear stance, for religious freedom and for the importance of language as a cultural good. A quick recapitulation: in short terms, the Italian Constitution recognizes a system in which all the religious denominations are “equally free” before the law (article 8). The denominations may also sign a formal agreement of cooperation with the State, called “intesa”. Actually, not all religions settled in Italy have their formal agreement. The Islamic community does not. It tried to conclude such a pact but a series of problems prevented the Muslims from concluding.The most relevant obstacle was the difficulty in determining a single organization that represents all the Muslim communities living in the country. As a result, lacking the guarantee of the specific rule of the “intesa”, mosques were often considered “cultural associations” and not fully protected by the principles in matter of freedom of religion. On the 27th of January 2015, the Lombardy Region approved a Regional Law (n. 2/2015) on the matter of urban government regarding new principles for planning buildings and other structures for religious purposes. The new text presented only two articles containing a number of requisites to build places of worships and temples. Both articles referred only to religious denominations “other than the Catholic Church”. Beyond the bureaucratic terminology, and even at first glance, the new norms were discriminating the Muslim minority and the possibility to build new mosques in the territory of Lombardy. According to the Region, such a strict division was not discriminating, but shaped directly from the Italian Constitution’s rules. With a well-timed reaction, the Italian Government has appealed to the Constitutional Court against the Lombardy law, claiming the blatant disparity between religious denominations, the discriminating power of the norms, the legal competence of the State over the Region in matters of religious freedom and public security and the the violation of European and international principles of freedom of religion and worship. The Court faced the question and published its decision on the 24th of March 2016, as commented on here. In sum, the Court recognized the alleged discrimination between denominations and acknowledged the prevailing power of the State over the Regional power in matters of religious freedom. Just a few days after (on the 12 of April 2016), as a political reaction of the Northern Lega, the other Region guided by the Party – the Veneto Region – approved another anti-mosque law (n. 12/2016). Similarly to the case in Lombardy, the new regulation was formally enacted as an amendment of the previous law of the territory and landscape. The new text was drafted to take into consideration the just published rationale of the Court, in order to achieve the failed target of making it extremely difficult to erect new religious buildings, particularly for Muslims. New norms have provided the Region and Municipalities the power to establish the criteria and modes of realization of the buildings of all denominations, the Catholic Church included. But that wasn’t all: the Veneto law has added another norm to make it mandatory to speak only Italian during all the activities inside the religious buildings, other than those which are strictly ritual. Again, the Italian Government appealed to the Constitutional court, claiming the renewed attempt to regulate differently the interests of various religious denominations, and the violation of the limits of the competence of the Region to regulate matters of freedom of religion and linguistic rights. The principle according to which either the Region and Municipalities can establish rules and modes to realize religious buildings (“attrezzature religiose”) is valid. The new rule is directed to all the religious denominations, without disparities, and without mention to a former cooperation agreement with the state. Being so, the Court admits that the new provision is different from that one that was declared unconstitutional (Dec. n. 63/2016). In other words, this kind of general provision does not make an apparent discrimination, considering that the Region and Municipalities can establish reasonable differences in the regulation of different realities. More specifically, the Court affirms that this rule as such cannot be considered unconstitutional itself, if taken out of its practical and consequent applications. On the contrary, the principle of using only Italian for all those activities of common interest for religious services is unconstitutional. The court declares that the Region has not the competence to limit linguistic claims in a law concerning the regulation of territory and religious building. Moreover, the Court recalls the importance of language, as a factor of individual and collective identity (dec. n. 42/2017). Language represents a medium of culture and a central element of the relational dimension of the human subjectivity. Thus, given the nature of the fundamental rights of the connected matters, the possibility to limit and regulate their expression must be reserved to the State and it is out of the competence of the Region. The latter reasoning of the Court is more than remarkable. Since the beginning of this “anti-mosques’ saga” discriminative politics and their political actors have tried to insert norms limiting religious freedom within very technical and specified laws concerning administrative matters. This decision can stop this “mimetic” strategy of the Northern Lega, focusing again and definitively on the fundamental nature of the right to religion and worship. Moreover, and in more general terms, the decision emphasizes the fundamental nature of the right to choose a language for self-expression in a pluri-cultural public sphere. It is not a minor statement: being part of personal identity, language—along with the religion—influences in a direct manner the way in which individuals can interact with other members of society, conditioning their basic legal position. Consequently, in a pluralistic society, linguistic claims not only need to be considered strictly by means of the provisions dedicated to the linguistic minorities, but also protected and framed within a wider «right to culture» for individuals and communities. Choosing a certain language for religious purposes sometimes represents a mandatory element of the religious rite and, under this respect, has to be guaranteed by freedom of religion. Both aims are strongly intertwined with concepts like traditions, beliefs, values and the like, with the consequence that to fully recognise all the legal profiles involved in the linguistic issues, we need to implement the notion of culture as a “legal good”, to make it a more gradual and feasible instrument for the protection of fundamental rights. 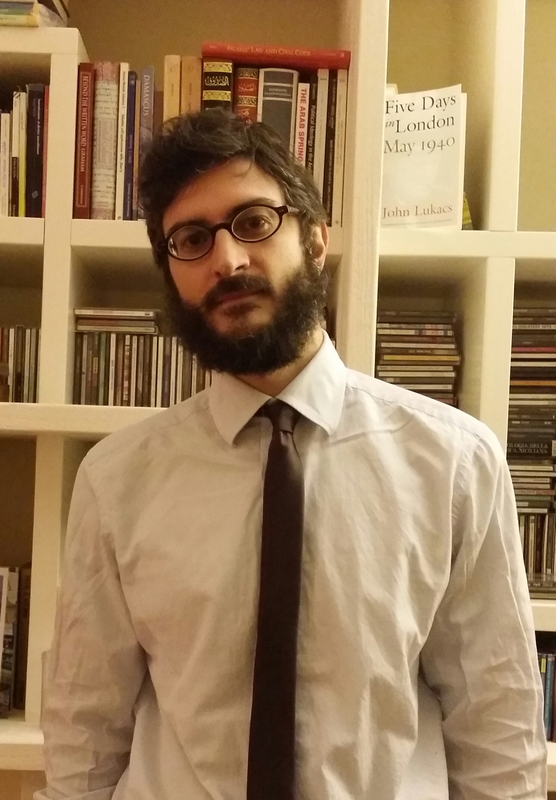 SUGGESTED CITATION Anello, Giancarlo: The Holy Word does not come strictly in Italian – Another Islamophobic Law stopped in Northern Italy, VerfBlog, 2017/4/10, https://verfassungsblog.de/the-holy-word-does-not-come-strictly-in-italian-another-islamophobic-law-stopped-in-northern-italy/, DOI: https://dx.doi.org/10.17176/20170410-202021. The labeling of a political standpoint as a phobia and therefore as a psychological disease is something commonly found in the Stalin era. So cultural practices in which daughters are denied self-determination (for instance through forced marriages) could (or should?) be protected as a 'legal good'? Where does one draw the line? Have you ever thought about why you guys never talk about "Buddhismphobia" or "Hinduismphobia" or "Atheismphobia"? The very simple answer is that any major branch of Islams comes with a political and jurisdictional agenda called Sharia. The Sharia is inherently hostile to the basic values embedded in any constitution thuought the western world, such as the equality of women and men, freedom of religion and freedom of belief. This hostility has been repeatedly demonstrated by numerous and often deadly attacks for exactly those reasons. It hurts my heart, by I have to fall in with the Neo-Nazis on this one, at least partially. – an ethnic or cultural group. The law says something about how to behave in a building used for religious purposes, so one naturally thinks of religious discrimination first. But is that really the case? If the law forbade using foreign languages in a car, would it discriminate against car users or user of a specific car? No, it would discriminate users of a language. There is, of course, still a religious component. But if a religion requires saying words in a specific language for reasons only religios people pretend to understand, that’s dealt with, as the law apparently had an exception for litany. Now, one has to ask if the discrimination of a users of a specific language is okay or not. As a ground rule, that’s to be considered unconstitutional in any open society. But is that without exception? I think not. We wouldn’t accept a warning label on a product written in a foreign language. We do force people to use a country’s official language when dealing with authorities. For both cases, there are good reasons. Is it so out of the question to say that there’s a good reason to create transparency in religious affairs? There was an article in a major (not right-wing) German newspaper last week in which a reporter recounted what was actually said in Arabic or Turkish in mosques in Germany, and there’s no doubt it would be considered hate speech. That was only revealed as the guy spoke Arabic and used a professional translator. Forcing people not to use foreign languages would make any problems apparent to all, and may make people think twice about preaching things no open society is supposed to protect. Tolerance and hospitality, transparency and democracy are not supposed to be one-way streets. If one wants the liberty to preach a foreign religion in a country, is it too much to ask to do that in a language actually understood by the majority? If you only preach to the converted, that’s self-imposed segregation and doesn’t help integration at all. Instead, it only builds mistrust. As far as I know, everybody agrees that knowing and using the local language is the prime factor for immigrants to succeeding in a country, both economically as well as socially. If that doesn’t work by itself, is a little nudge into that direction not okay, even if it a slightly more forecul nudge? Most comments for this piece suffer from an anti-Muslim bias and hatred. I assume for the people who read this blog, constitutional and human rights are of fundamental value.After reading the first three comments, I have decided to reconsider my assumption.It seems that, for these commentators, discrimination on the basis of religion is acceptable as long as it involves Muslims. What a shame! You deny your own constitutional values. Pointing to areas were fundamental values of religious groups who happen to immigrate in large numbers are in conflict with constitutional values of the host country is not a denial of those constitutional values, but a necessary step for their preservation. It is evident that at numerous universities in Germany silence rooms were seized by the local muslim communities and access blocked to women or other religious groups. In the case of Bochum there were even hate sermons performed by terrorist suspects at the university. In another case a room of a university library was seized by muslims for praying without asking and access of other visitors was deliberately blocked. These are undoubtly attempts to turn open societies into closed ones – nothing more and nothing less – and they cannot be tolerated. "It seems that, for these commentators, discrimination on the basis of religion is acceptable as long as it involves Muslims." To be fair to the right-wing posters I tend to critize here: Your comment, with all due respect, is not a very balanced one, either. First, that Islam currently is not really en vogue is something one has understand. Being a Muslim in the Western world (or Russia) currently is like being German in the Netherlands or even Israel: Maybe you, personally, didn’t do anything wrong, and maybe it’s actually racist to harbor resentment against you, but, well, in all fairness, there are times and places to complain and times and places better to remain silent. If some people are worried or even show open hatred, maybe it’s time to turn the other cheek, distance oneself from the deeds of idiots who happen to share the same religion, ethnicity or TV preferences as you and plead instead of demand. Fun fact: It’s legal to wave a Nazi flag in Jerusalem. But besides legal considerations, it’s probably not wise to try that out. Second, the first comment doesn’t even say anything about Islam. The second and third comment show criticism – care to answer to that without drawing the "you’re all against Muslims!" card? Because that is, in all honesty, not really helpful either. How would Irish refugees (especially those of the same denomination) be treated, be it in Europe or in the Arab countries? Would it be wise for these refugees to emphasize their religion, to demand the right to exclude others from their sermons, to try to force others to respect them? The issue, from my point of view, is more about "religious" and "non-religious" than "Christian" versus "Muslim". The Pegida movement in Germany hails from a predominantly non-religious population – it would be surprising if it was carried by pro-Christian feelings. They may be Anti-Muslim in particular, but the underlying theme, to me, is anti-religion. It is, of course, mixed with racism, misguided hatred and a lot of other poisonous thoughts. And maybe I’m wrong, and the basis is racism, which is only expressed in a anti-religion statement. But one should think carefully about what’s the hen and what is the egg here. Consenting adults in private … apparently lost the right even to talk to eachother in the language of their choice. Language is privacy and religion is privacy. Parts of christian services are in Greek, Latin or Hebraic and of course people of other mother tongue gather in worship services in their language. The pentecost miracle is that the people despite beeing far away from home could hear the apostles in their own language. To try to forbid that is not only Anti-Muslim, it’s Anti-Christian, Anti-Religion. Certainly not my values, although I can live with most of them quite well. If I can be honest, it seems to me that you have NOT read the first three posts, at least certaintly not mine. Where do I even mention religion? Where would my anti-muslim bias be? Please think twice before posting inflammatory comments which have no basis. "To try to forbid that is not only Anti-Muslim, it’s Anti-Christian, Anti-Religion." That is a stance one may take. One may also say that secularism is anti-religion. – think that Noah rode to his arc on a dinosaur (USA – repeat offender). Imagine two colleagues got into an arguement about their favorite sports teams. One kills an innocent bystander with a kitchen knife to prove a point. If the office manager would put up rules for discussing sports in the future, would that be understandable? If he or she forbade wearing sports merchandise in the office, would that be too much to ask? Is the right to discuss sports more important than people’s lifes? But no, every little altar boy and girl now has to come out of the closet. A muslim girl has to fight the courts for her right to wear a headscarf, a symbol for female oppression, in the courtroom, where she wouldn’t even be if the ideology she promotes were in power. And if somebody tries to forbid sermons in foreign languages to make hate speech obvious, now that’s a vile offense against the freedom of religion. Is self-destruction a religious imperative? One may get that impression. Jesus had to get himself arrested to proof his point (or at least that’s what his followers promoted after the fact). People blow themselves and others up in the name of Allah, who’s apparently allmighty but too impotent to get that done himself. And the rest needs to bring in the constitunial cavalry to defend every crazy idea, just as long as somebody slapped the label "religion" on it. I’d so welcome it if you religious types just all went to Antarctica, fought it out among yourselfs without hurting any innocent bystanders (except some penguins), and got rid of that stupid argument once and for all.